Price fact: The price is 0.98 £ higher than the average over the last 10 weeks. Price fact: The price is 1.98 £ higher than last week. 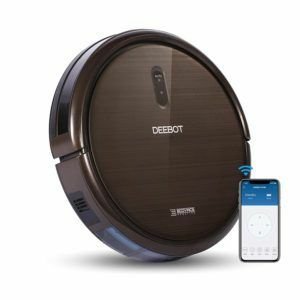 The Ecovacs Deebot N79S robot vacuum cleaner offers advanced connectivity, high suction power, automatic self-charging capabilities, and an in-built drop sensor. This unit has been designed to work on hard floors and carpets and offers four specialized cleaning modes to support a range of domestic environments. The Ecovacs Deebot N79S is smart, innovative, and ready to make your life easier. 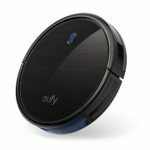 The Ecovacs Deebot N79S features a lithium-ion battery with a life of 100 minutes and the ability to recharge automatically. 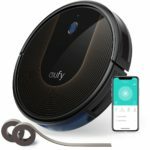 This unit has been designed to be as fully autonomous as possible, charging itself and cleaning when and where you tell it to. The Deebot N79S comes with its own dedicated docking station, which you can place in any part of your home that you see fit. 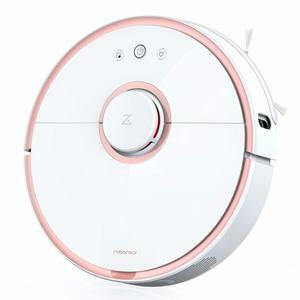 This robotic vacuum features random navigation logic and selective cleaning modes that allow you to program the most efficient operation for your home. The Ecovacs Deebot N79S has an auto-clean mode and four specialized cleaning modes. The plus single room and spot mode are designed for targeted cleaning tasks, with the edge mode designed especially for hard-to-clean edges and max mode providing twice the power for those hard to clean areas. This vacuum cleaner also comes with anti-drop and anti-collision sensors to ensure the safety of the unit and the protection of your belongings. 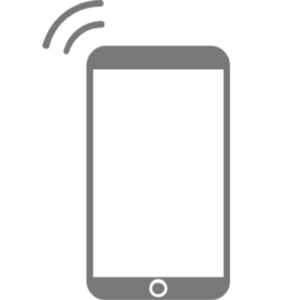 The Deebot N79S also includes advanced connectivity options, including remote control and Smart App and voice controls through Alexa or Google Home voice commands. This advanced robotic vacuum cleaner weighs 4.32 kg and has product dimensions of 33 x 33 x 7.8 cm. The Ecovacs Deebot N79S comes in an attractive metallic bronze finish and is constructed with a combination of plastic and metal components. Accessories include a remote control, main cleaning brush, two side brushes, and a docking station. 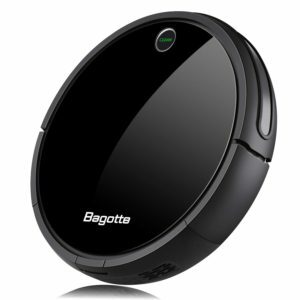 Read more about Ecovacs Deebot N79S Robot Vacuum Cleaner her.